Trying to balance work, travel and my backyard duties has been a juggling act. My hired help has had to step in and lend me a hand. My hired hand is a bit expensive but he does good, albeit slow, and deliberate work. Expensive in that I pay him an hourly wage and have to feed the 6 foot 5 inch behemoth too! He really is worth every grocery bag that he chomps through! 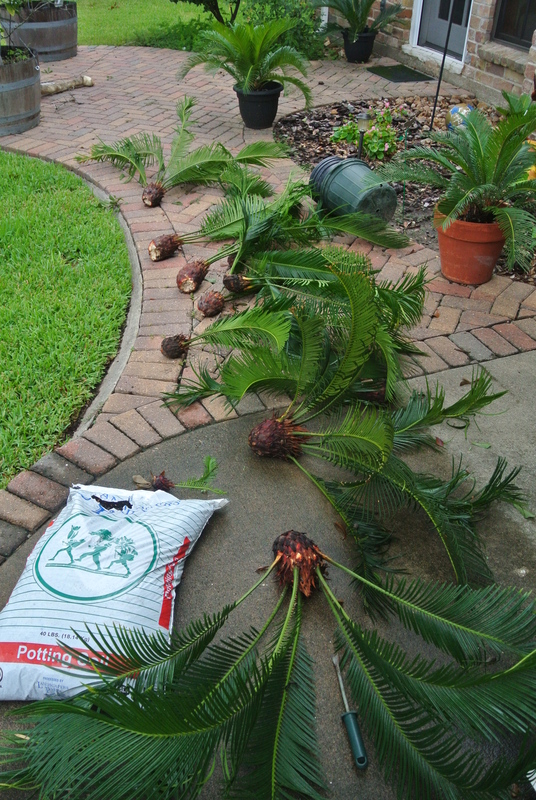 This week besides the usual lawn mowing and edging he harvested some long overdue Sago Palm pups. He did a beautiful job removing them and now we are in the process of potting them. 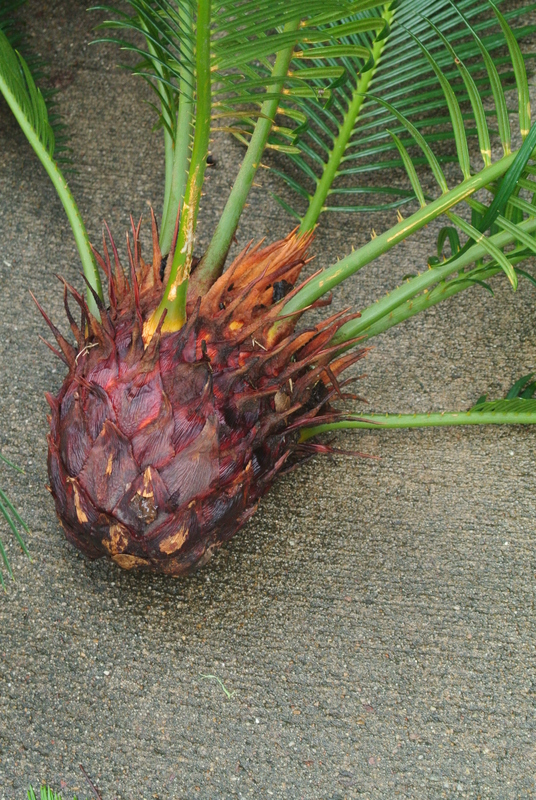 Sago Palm pups can be a money making venture. I may ask him to cruise the neighborhood and remove the pups for our neighbors. 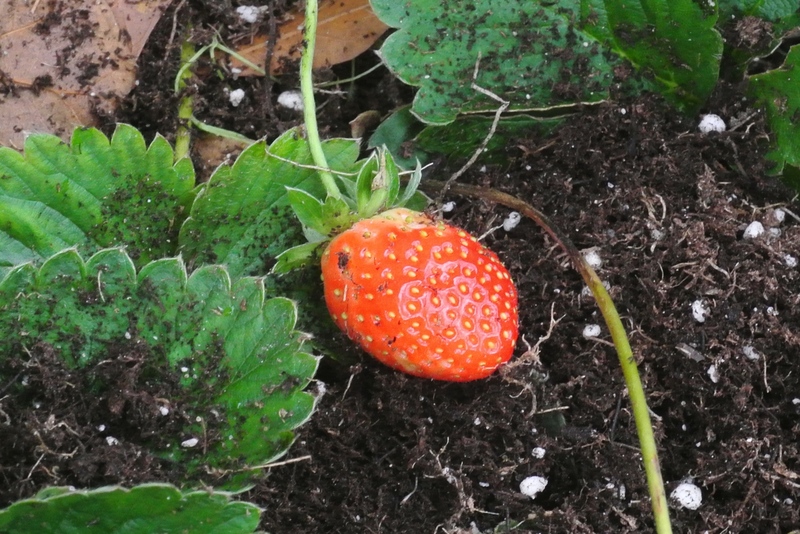 Before I took off to Colorado last week I was replanting some of my strawberries. One of my beds was devastated by the brutal summer an then wiped out completely by my son as he did some irrigation work in the strawberry patch. It really turned out well for me in the end. 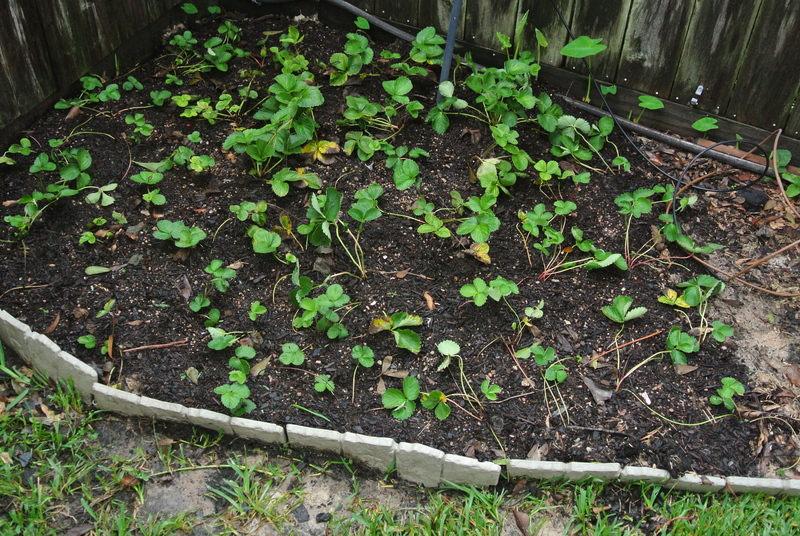 I had a portion of my veggie beds where I had dropped some strawberry plants into several years ago. They took over that end of the bed! 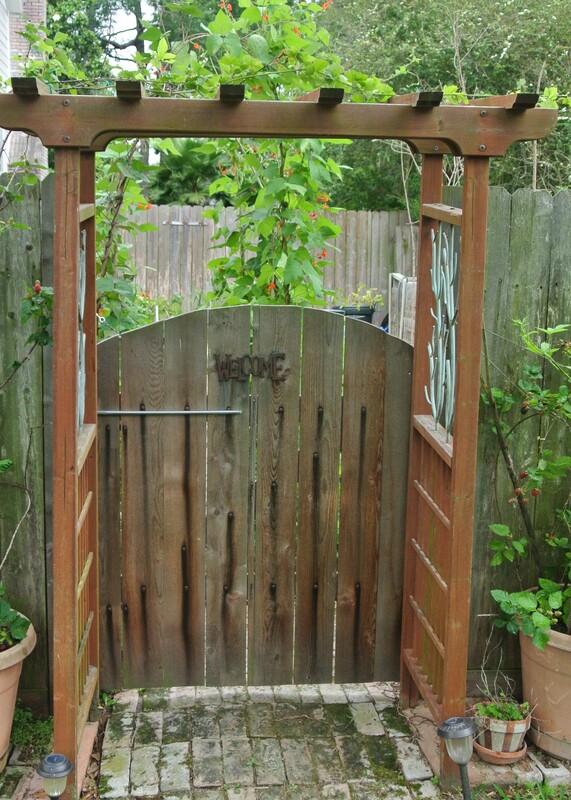 I am needing to clean that end out to plant some fall veggies so no harm done. I moved quite a few out last week and have more to do this weekend. Can’t wait for the spring harvest! 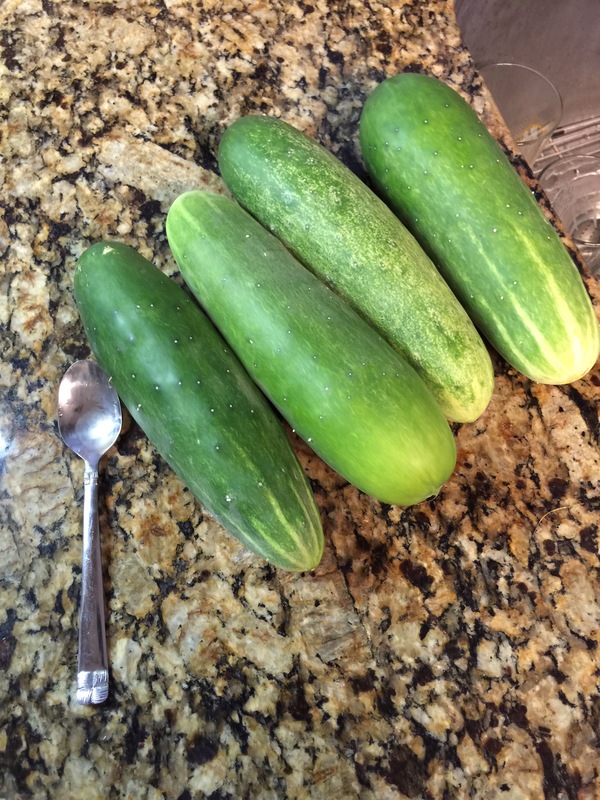 The white flies destroyed my cucumbers and devastated my friend John’s too. I replanted and the white flies returned only this tie I was ready! At first sign of the little buggers I blasted them with a good and safe insecticidal soap. They are looing really healthy! 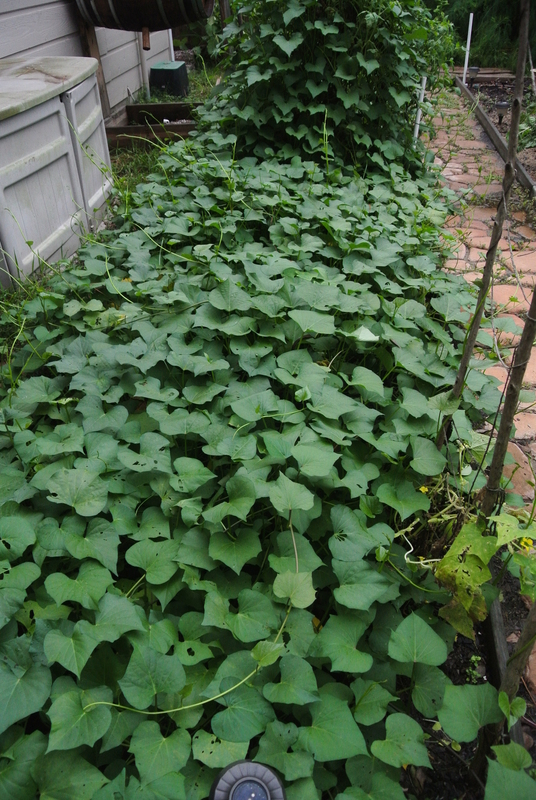 My discarded sweet potatoes have overwhelmed the 4X25 foot bed near the garage. 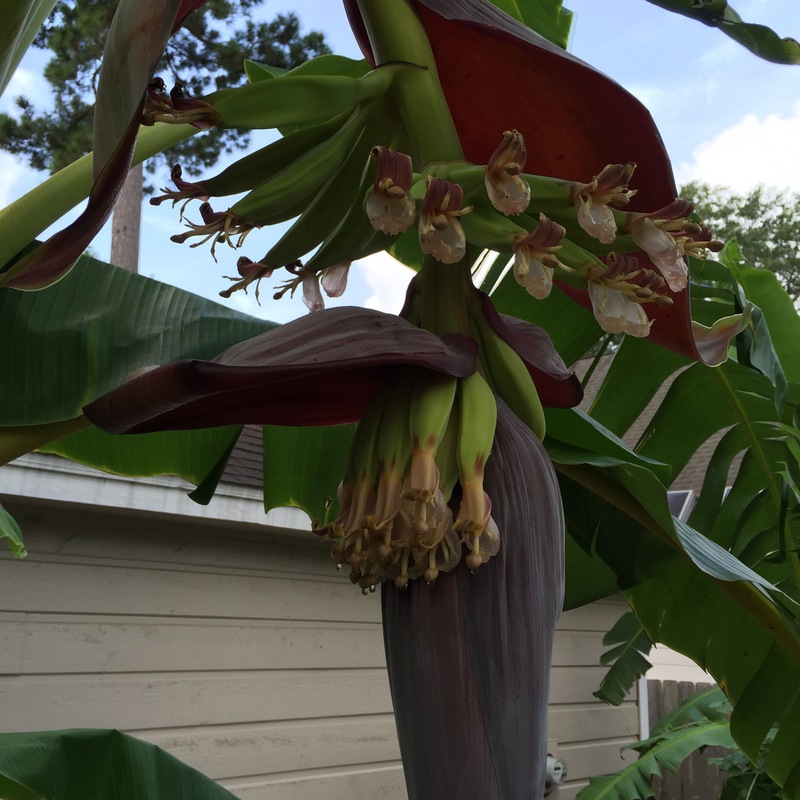 Wow….I will be very curious to see the resulting harvest in a month or so. 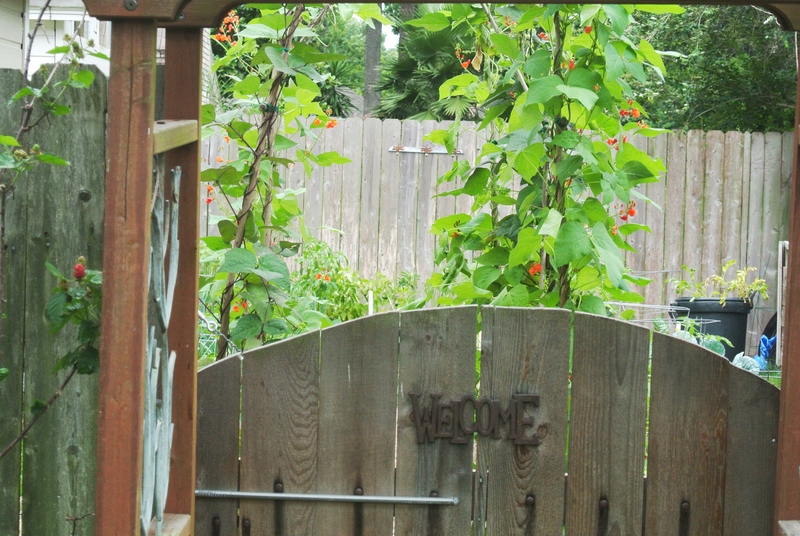 Those pesky sweet potato vines! 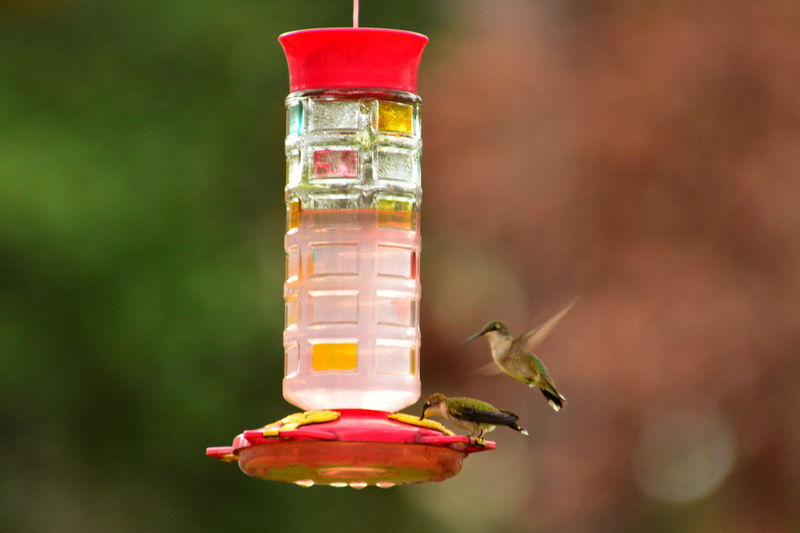 The hummingbirds have been cruising through the Houston area on their way south. We love watching their antics around the feeders as the greedy ones chase others off. Rain has been long overdue and we are getting a huge dose of it over the past several days! Needed but probably not quite enough to pulls us out of the state wide drought! I seem to celebrate the tomato as if it the crown jewel of the backyard farmer as many gardeners do. Tomatoes do seem to be a central theme with many garden bloggers, “how to” sites, mail order companies and farmer’s markets. That said, I would like to share my growing fascination with potato growing. 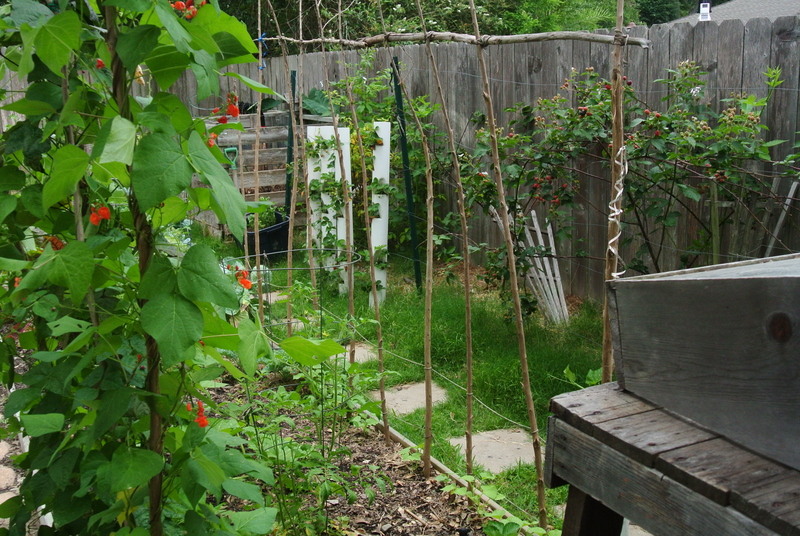 I have tried barrel or basket growing in the past. This year I have a mix of conventional trenched and hilled in ground method, a barrel and two tubs. 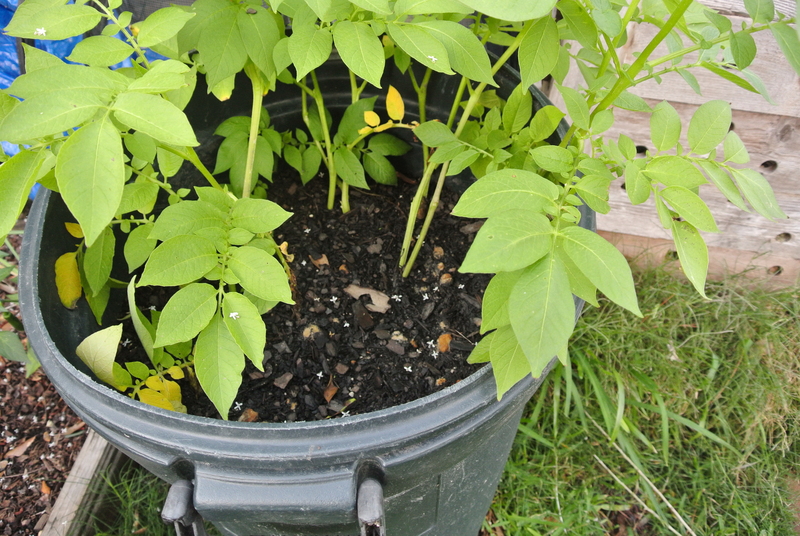 I planted some Yukon Gold taters in the ground and the barrel at the same time. They are doing very well. 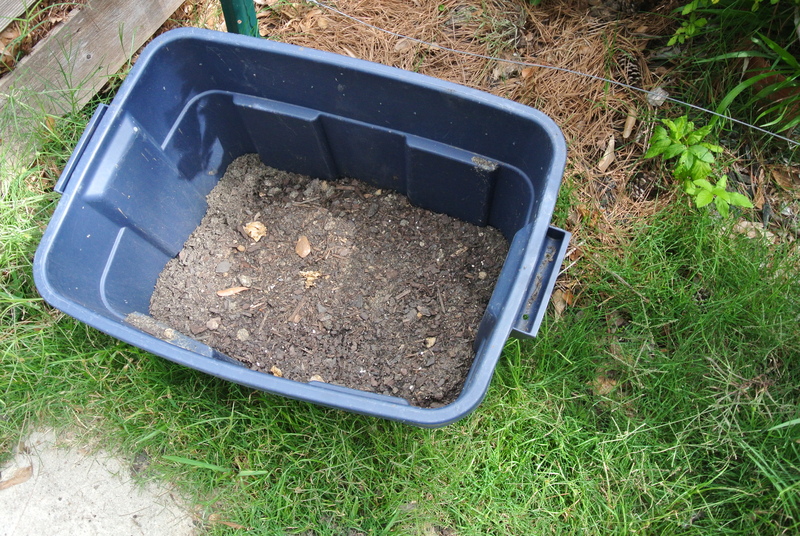 I had a few leftover and a couple of weeks later I planted them in the Rubbermaid tub I had been using to house my vermicomposting worms. I need to add lots of soil to it tomorrow!!!! I planted another tub a week ago and the shoots have yet to break the surface. 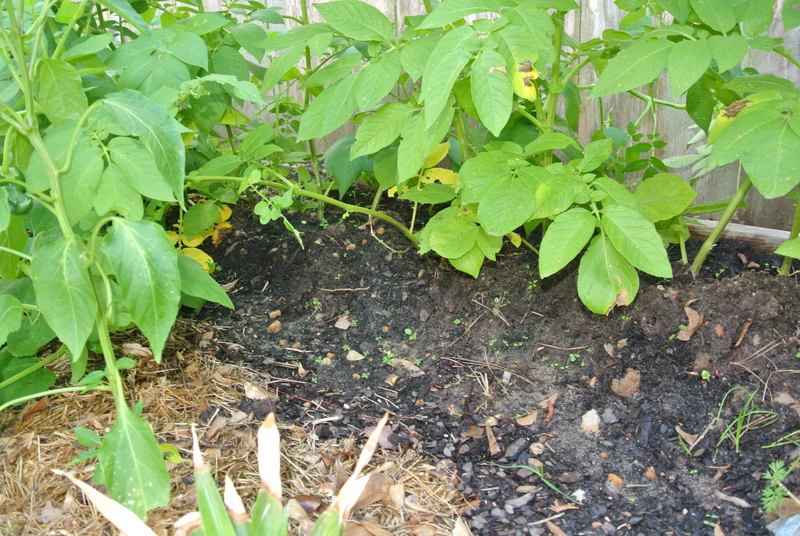 The barrel planted potato eyes were placed in the barrel with about six inches of soil. They took off. I think they benefitted from the warming effect of the barrel. The soil level is up to about 40 inches now and I won’t add any more. 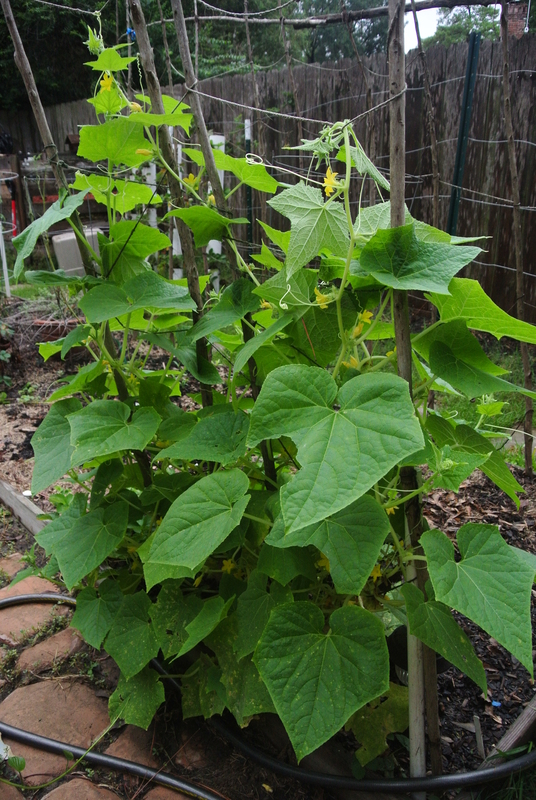 The in ground potatoes are also doing very well. The plants are 30+ inches above the hilled up mounds. I have high hopes for a good harvest. An old garbage barrel with holes in the bottom. Potato eyes at the bottom, 30 + inches below support the lush green growth. 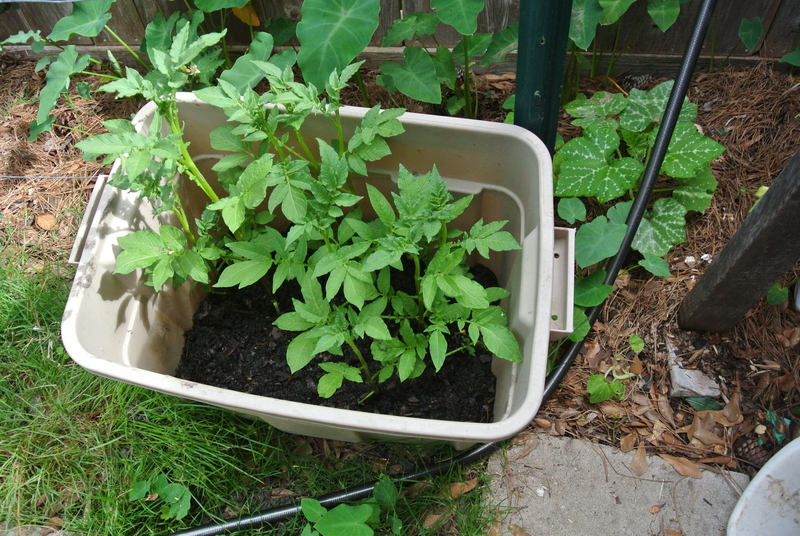 The newest tub was planted with supermarket spuds that sprouted in the pantry. Supermarket spids are not the best choice as they are sometimes treated to inhibit sprouting. The Yukon Gold are actual seed potatoes purchased at Kingwood Garden Center. 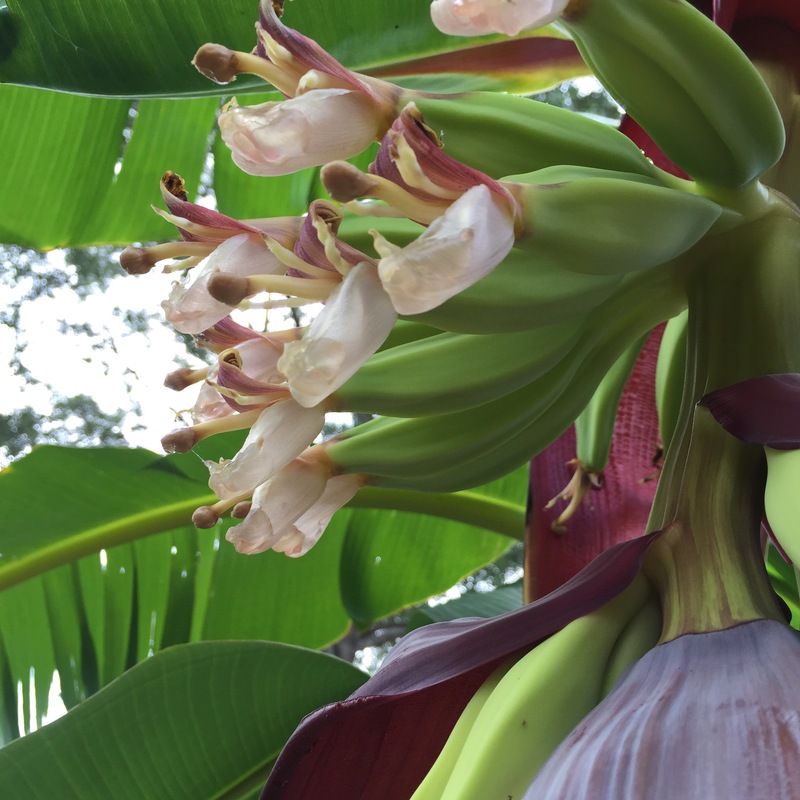 Helpful folks, lots of knowledge and support organic gardeners! Soil in this one is up about 10 inches and needs quite a bit more this weekend. I am looking forward to filching a few “new” potatoes down a foot or so a little later in early summer. 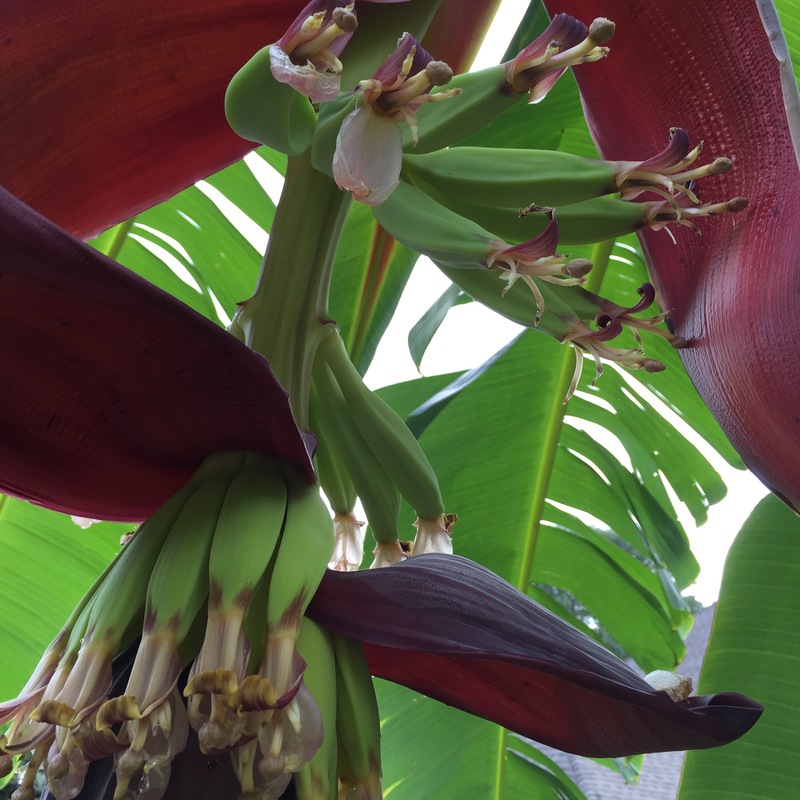 I will be watching closely….once they flower and the tops die back I will harvest. 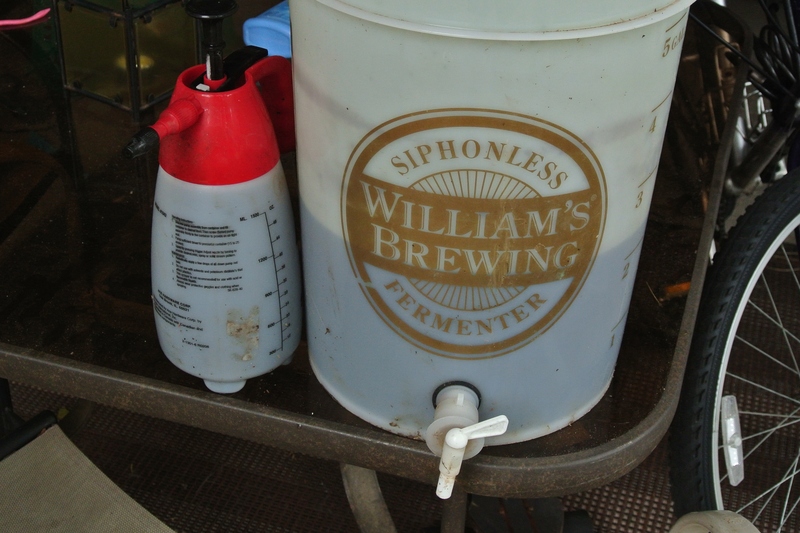 The nice thing about using the tubs and barrels is the no digging to harvest. Just dump the container and sort through bounty! PS – lunch was tomatoes picked today used in a wilted spinach and fresh Chard salad with grilled chicken breast. Dressing was simply EVOO and a blackberry flavored aged Balsamic vinegar. A little fresh ground pepper and sea salt! Just perfect!